It's been nearly a year since we asked if Airbnb and Google were revolutionising hotel distribution. 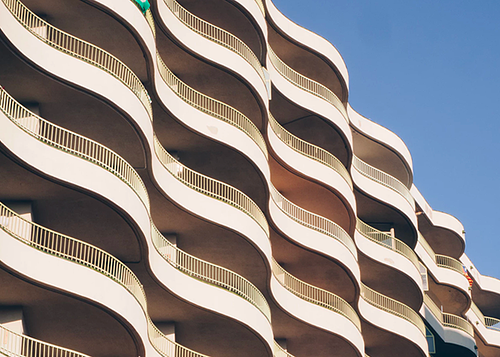 As we settle into 2019, it's time for an update to explore how these ambitious initiatives - and those of other large global companies - are affecting hotels. For years, there’s been a reliable drumbeat of fear around the expansion ambitions of Google and Amazon. Amazon seems to be permanently poised to threaten travel, while Google’s Hotel Finder has evolved into a full-featured and highly competitive product that even Expedia sees as its main competitor. Last year, the coverage in industry publications expanded to include Airbnb, which laid down the gauntlet by saying it’s now “100%” in competition with online travel agencies. A lot has happened since our last review. Let's explore the scene - in a blog post we updated in mid-March to cover Airbnb's acquisition of HotelTonight and the launch of Google Hotels. While Amazon has not made any forays in travel since its short-lived Amazon Local product in 2013, the company clearly has hospitality on its mind. Alexa for Hospitality launched in 2018, bringing Amazon’s Alexa voice technology into hotel rooms around the world. With Amazon helping hotels deliver their services, the company integrates itself deep into a hotel’s operational fabric. From there, becomes much easier to envision Amazon expanding its offerings. Whether an exclusive travel loyalty club for Prime members or a voice-enabled booking engine (or something else entirely), Amazon will certainly apply its Alexa for Hospitality learnings to other parts of the travel and hospitality industries. When it comes to demand, new channels can offer a massive upside for hotels. Of course, like all emerging opportunities, there’s risk involved. Even so, new channels change industry dynamics - especially if some channels provide demand more cheaply. This is the case with Airbnb Plus, the company's initiative to make boutique hotels bookable on the platform. The commission per booking is a reasonable 3-5%, compared to over 15% in most other channels. Taken together, the squeeze on commissions is real. Many hotels are seeking alternative channels that provide greater value through lower commissions and/or more efficient demand generation. This trend may partly explain why some OTAs, like Expedia, are staking their futures as technology and “travel platforms” to better support their hotel partners. One of the major sticking points for hotels when it comes to third-party bookings is ownership of the guest relationship. Rarely do OTAs share guest contact information, making it nearly impossible to develop a direct relationship. Those platforms that share better will earn more inventory from hoteliers. Metasearch plays a greater role in this case, where more advertising dollars flow to the channels that pass along more guest data to hotels. Unlike OTAs and hotels, platforms compete for advertising dollars rather than guests. Google’s Hotel Finder makes its money not on commissions but on ads. Amazon’s fastest growing revenue stream is for product ads. It's only a matter of time before Airbnb explores sponsored placements - after all, commission revenue scales linearly while advertising revenue scales exponentially. This dynamic dramatically impacts how these platforms engage with the industry, as it loosens the grip on who owns the guest relationship. That’s a good thing for hotels. It means that these platforms should be more inclined to provide valuable guest information as part of the transaction. Even so, booking-based commissions are at least predictable. Hotels know how much they pay a given channel for a booking, without having the uncertainty of an auction-style system that pits hotels against each other for the highest bid. 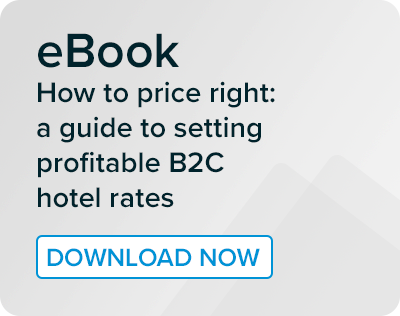 Such a system can be unfair to independent hotels with lower marketing budgets, as we’ve already seen with how much Expedia and Booking spend on platforms like Google and Facebook. And, as technology suppliers start integrating Google Hotel Ads into their marketing platforms, advertising spend among hotels to drive direct bookings may outpace what some spend on commissions in the first place. An interesting development that forces hotels to quantify the value of ad-driven direct bookings versus commissionable intermediary bookings. As OTAs offer more vacation rentals alongside other accommodations, some hoteliers voice concerns that more choice dilutes hotels’ competitive positioning by simplifying comparisons between vacation rentals and hotels. Yet, the reality is that all forms of accommodation will soon be available via both traditional OTAs and new platforms like Airbnb. With innovation comes change, and with change comes opportunity. The year ahead will be full of both in the hotel industry, without a doubt. Returning to this blog post in mid-March, just two months after we first posted this story, both Airbnb and Google have rolled out major initiatives in this space, albeit without fanfare, in the case of Google. Let's take a quick look at each. Described by PhocusWire as being “at the right time for both,” Airbnb has struck a deal to acquire HotelTonight, the OTA that prides itself on helping users find “last-minute hotel deals at great hotels”. Though rumoured to have cost Airbnb at least $400 million, pundits seem keen to avoid exaggerating the significance of the acquisition. But there's no denying that it sets a clear marker in the path of diversification for Airbnb, and is good news for both companies: HotelTonight will hugely increase its reach; while Airbnb can “compete on the same playing field as traditional hotel booking sites without subverting its branding or alienating its clientele by adding complexity,” as Phocuswright analyst and founder of RockCheetah, Robert Cole, puts it. 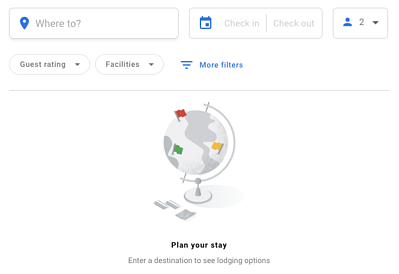 Meanwhile, Google has quietly launched Google Hotels, a “full-fledged destination site for hotels,” according to a Skift report. It's fair to say OTAs across the spectrum will be unsettled by this development, which Skift describes as having “potential implications for booking sites, as well as Airbnb, on the lines of what it has done with its already very-popular Google Flights”. Time will tell how these competitors respond. Online distribution: navigating the changing distribution landscape in 2018.